I'll never forget the first time I met this guy and how he has made my life so much more interesting for the past 6 years. He truly is a ball of energy with a beautiful heart to match. Ian, I adore ya my friend. Thanks for (literally) dancing & singing at 5am call times and sometimes making me want to punch you, but at the end of the day I am so grateful for your infectious attitude. Happy birthday buddy! It's official: They're the absolute cutest and just proved to PLL fans everywhere they truly are the best of friends in real life. You know, this isn't the first time Hale has shared pictures and sweet words about Harding on social media. And Harding does it too. With that said, why not celebrate Ezria's relationship offscreen by checking out some their best moments as real-life friends? 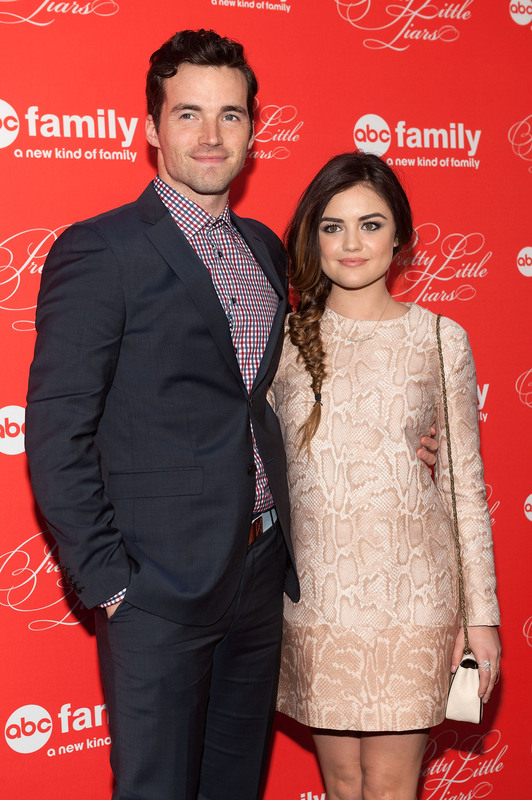 Not only does Harding call Lucy a "goose," but she also supports an organization near and dear to his heart, the Lupus Foundation of America. Harding's mom was diagnosed with Lupus and now he raises awareness in honor of her. The cuteness is real, people. Legendary appropriately describes this friendship. Oh hey, Toby and Spencer!